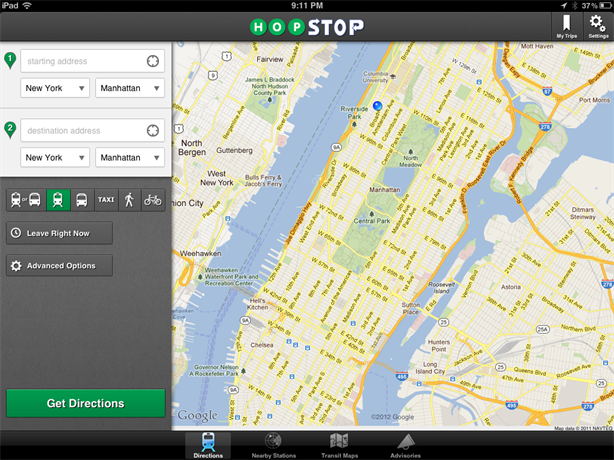 NEW YORK: HopStop has selected Diffusion as its US AOR, focusing on the launch of the company's real-time transit-information app. It chose the agency for the account after a review. HopStop previously worked with Weber Shandwick. Representatives from HopStop and Weber were not available for comment. Budget and other account information was not disclosed. With a team of four staffers on the account, Diffusion will help the brand raise awareness of the HopStop Live! free real-time transit app that crowdsources information from millions of users in 500 cities in seven countries. The app is launching this week, said Ivan Ristic, US president at Diffusion. He said the app will allow users to make better decisions and find the most effective ways to get to their destinations. Diffusion will work to engage loyal HopStop users and early technology adopters, as well as untapped consumers who use the same routes every day. “The HopStop Live! capability lets you follow the usual stations, lines, or buses you take, so in the morning before you set out, you can open the page and it will tell you the status of things and if there are any delays,” added Ristic. Diffusion will engage consumer tech and transportation media, as well as national, regional, and local press outlets. On the social side, the agency, which began working on the account at the beginning of this month, will target bloggers and influencers. “Our goal is to help redefine what this new real-time crowdsoured public transit information market is going to look like, and it's exciting working with them because they already have a massive user base that could benefit from it,” said Ristic. Diffusion, which is headquartered in London, expanded to the US last October by opening a New York office.